During the 11:15 a.m. Sunday Mass, children gather with their families in church for the introductory rites of the Mass. 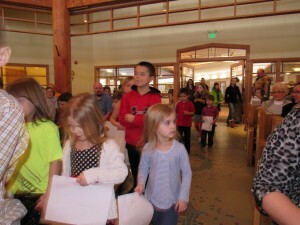 After the opening song and the greeting, the children, together with their leaders, are called forward. The leaders are presented with the book of Scriptures and then lead the children to a separate area to celebrate the Liturgy of the Word for Children. Before the Eucharistic Liturgy begins, the children process back into Church and rejoin their families. 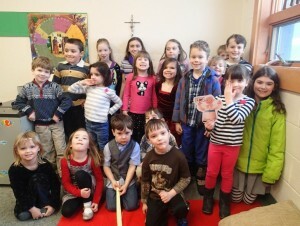 Children gather to share the Sunday Scriptures. 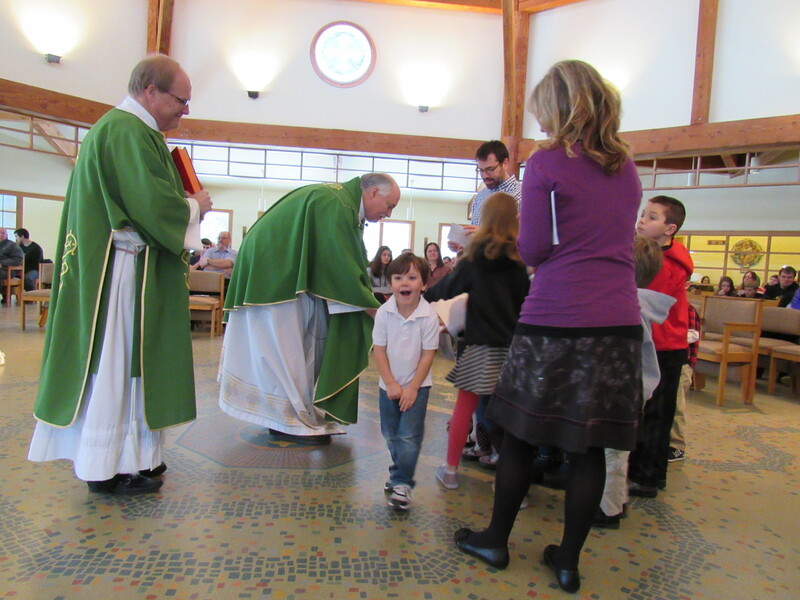 Father welcomes the children and their leaders back as they rejoin the congregation at the beginning of the Liturgy of the Eucharist.